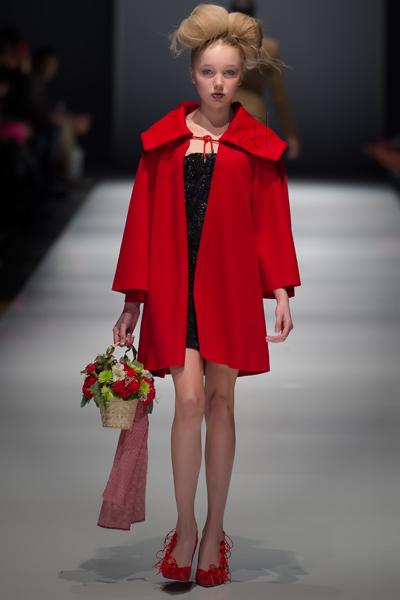 The displays at Ottawa Fashion Week were a feast for those who love fashion. Hosted in the Convention Centre it seemed fitting for the excellent designers showing. 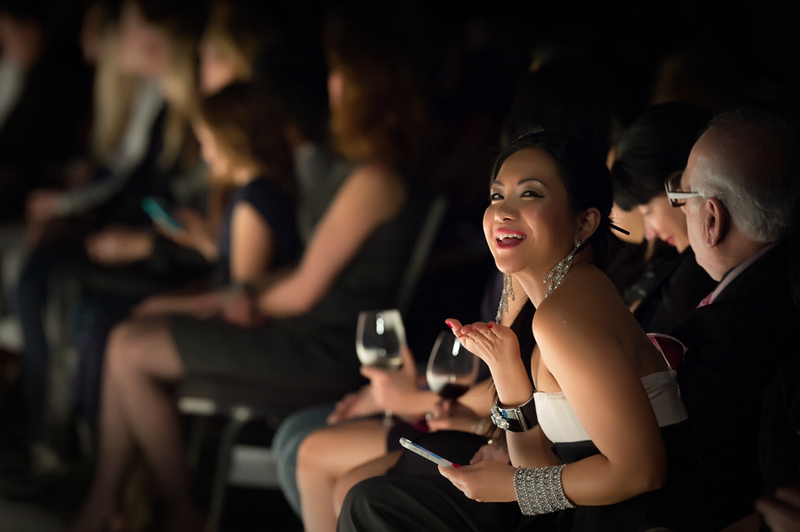 For the second time, I attended the final event of Ottawa Fashion Week (OFW). 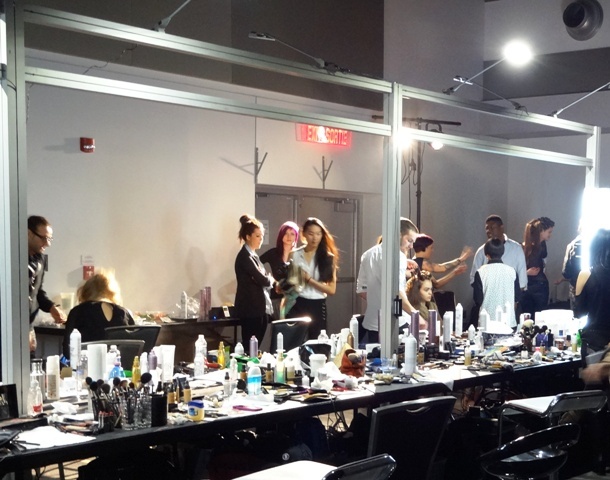 OFW moved to the new Convention Centre which gave the show more space in which to operate. It allowed for the fashion show and vendor displays to all be in the same room -while not feeling crowded. OFW is now a partner in Winterlude and its family friendly atmosphere was evident with many parents bringing their kids to see the glamour of the show. 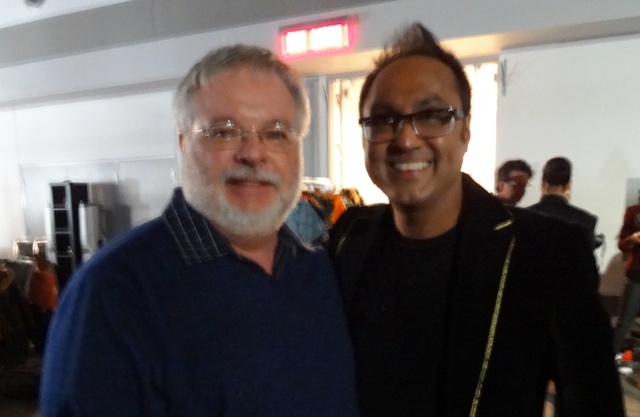 I was fortunate to be allowed backstage to visit with uber great Ottawa designer Frank Sukhoo before the show. It looked like many other backstages that I’ve visited in theater – lots of anxious people putting on makeup, getting their hair done and donning costumes. Sukhoo Sukhoo Couture presented a stunning array of fashions that he says was Asian influenced. He wanted to underline that it was Chinese New Year. His tailoring is always impeccable and choice of fabrics inspiring. 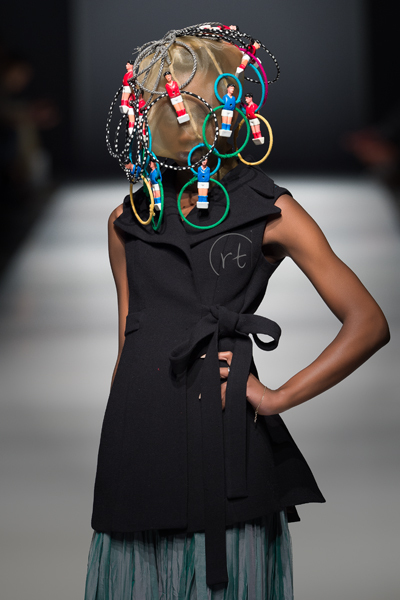 His models were delightfully playful on the runway. At the end, he was treated to a standing ovation. 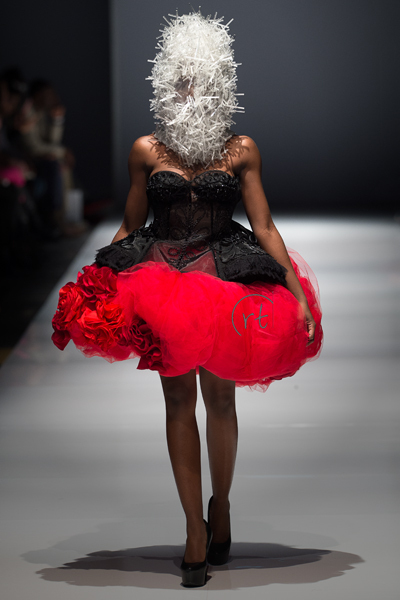 Next in the eye catching category was MUSE by Christian Chenail. He used a color palette of grey, black, white and navy with splashes of cranberry in beautiful slim pants and fitted knits. You could imagine seeing these styles on a chic everyday woman. The final treat was Helmer who presented some concept fashions. They were really quite intriguing with some of the models wearing masks. My mind was going wild seeing his designs on a science fiction film set. Helmer featured a stunning young blond model from Stittsville in his line-up. OFW keeps growing and getting better with every show. I do have two points for improvement. The lighting was optimized for viewing the models for the media photographers. From a audience perspective, the lights were brightly harsh and only pointed to highlight the models going down the runway. The audience, seated on either side of a bright white runway, saw huge shadows on the models when they returned. I am grateful to my generous friend and fashion blogger Marilou Moles who put me in touch with Richard Tardif who supplied me with great photos. Secondly, all the shows started late. 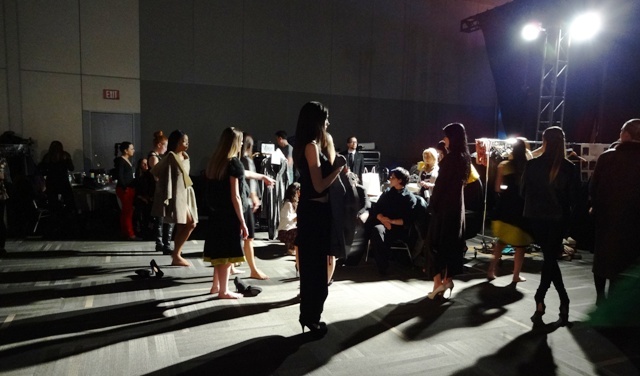 The first block of designers started an hour late which cascaded to every show being late. 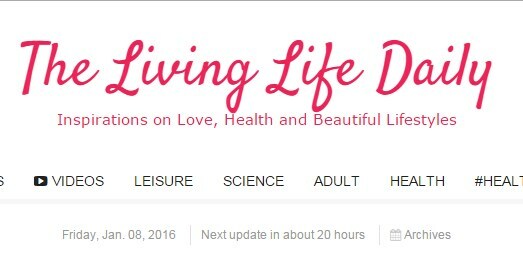 This is an insult to a paying audience. I’ve stage managed dozens of musical theatre and concert productions with scores of actors busy getting into hair/makeup/costumes for curtain time. I fail to understand why it can’t seem to happen here. 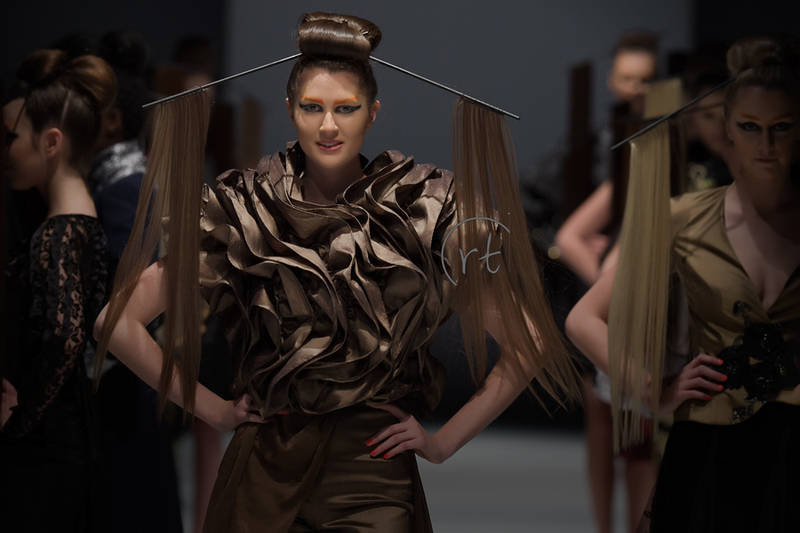 Despite the technical challenges, OFW is a great show that supports and exposes the local fashion design scene. I love it so much that I plan to be at all three days for the fall event.